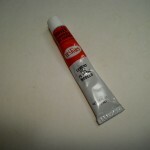 Hobby Chemical Solvents function like neither Cyanoacrylate Super Glue or 2 part Epoxy Adhesive. They bond polystyrene plastic model kit parts by chemically melting the plastic then by evaporation the softened plastic becomes cold welded together. Chemical solvents will not create multi-media bonds such as a wood to metal or paper to plastic. 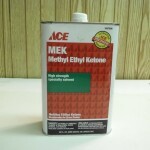 A chemical solvent bond is achieved without heat and one chemical agent that achieves this is, Methyl Ethel Ketone. 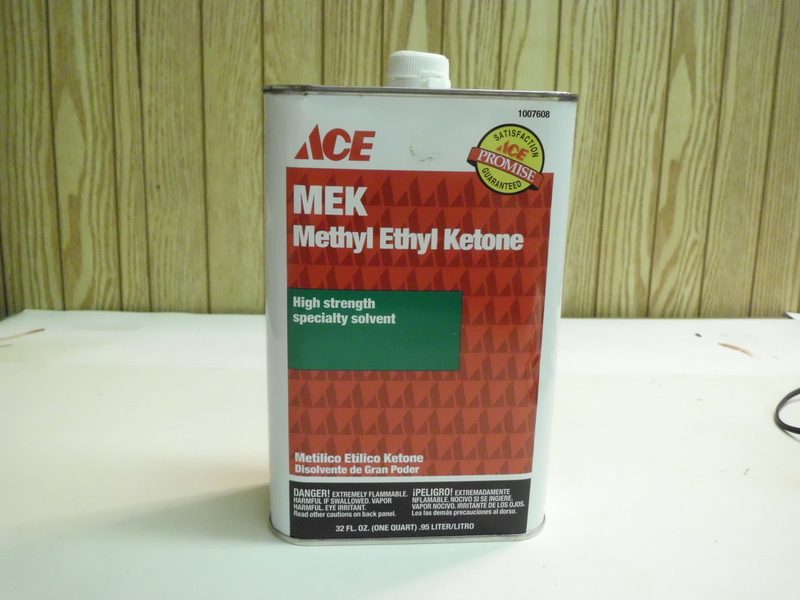 MEK, as Methyl Ethel Ketone is known to modelers and hobbyists is the primary ingredient in “gooey” plastic polystyrene model airplane tube glue. 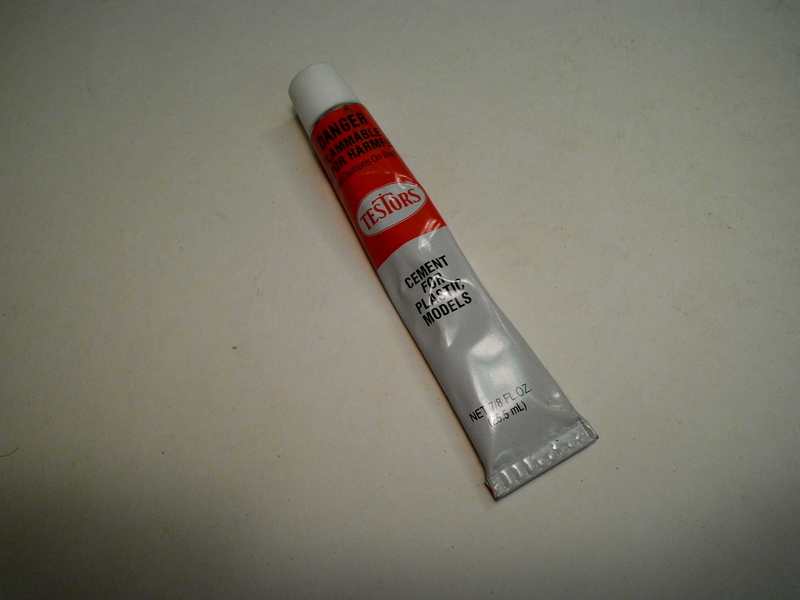 This is the primary modeling adhesive that novice hobbyists usually build their first model with. MEK is flammable, corrosive and toxic. It can be bought at most hardware stores by the quart/liter and it will strip the paint off just about everything it comes into contact with. MEK evaporates very quickly and when exposed to skin it feels cool to the touch. When using MEK it should be applied in the smallest amount to a plastic model with an old paint brush and by the process of “capillary action” it will flow onto the part to be joined. Capillary action is the biological process by which human blood flows through narrow human capillaries. Highly viscous liquids flow though tiny tubes and follow narrow plastic seam lines in a similar manner. Hobbyists have borrowed this medical term to describe how highly viscous chemical solvents can flow from a model paint brush onto a plastic model part. Solvents also have an additional feature that is desirable. This is replicating a welded metal seam on models of large, bulky, metal objects such as tanks, trucks and battleships. No other plastic model bonding agent can impart this modeling effect except a chemical solvent. When a chemically softened plastic part is squeezed, a line of semi-liquid plastic goo is oozed out that has a similar appearance to a raised welded metal weld line As far as modelers are concerned, this effect is beneficial when building models of large heavy metal objects that were manufactured by welding. Solvents such as Methyl Ethel Ketone impart this very realistic effect. For the serious hobbyist and model builder the benefits of chemical solvents in modeling outweigh the very real drawbacks. Chemical solvents have a function in modeling that is here to stay in spite of precautions needed when working with them.